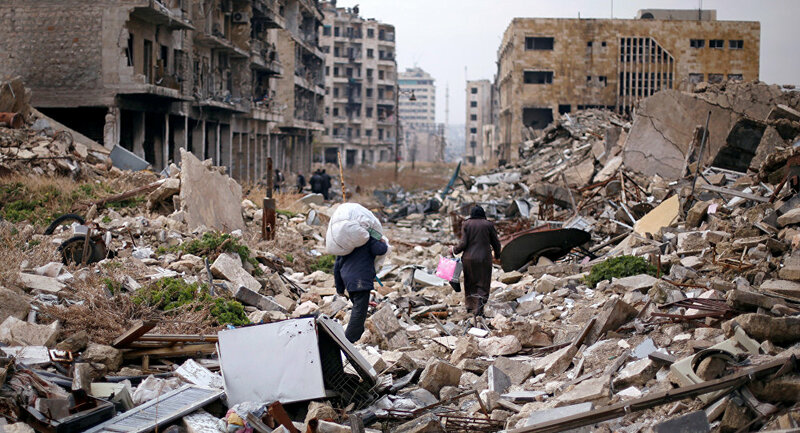 Most Western and UN officials were disappointed with the liberation of Aleppo by the Syrian army and have no interest in Syria crisis settlement, the country's incumbent Ambassador to China and former Ambassador to the United States Imad Moustapha told Sputnik on Wednesday. MOSCOW (Sputnik) — On Tuesday, foreign and defense ministers of Russia, Iran and Turkey met in Moscow to discuss the situation in Syria, including Aleppo. The countries agreed in a joint statement to revive the political process to end the conflict in Syria. The respect for sovereignty, independence and territorial integrity of Syria was reaffirmed in the statement. 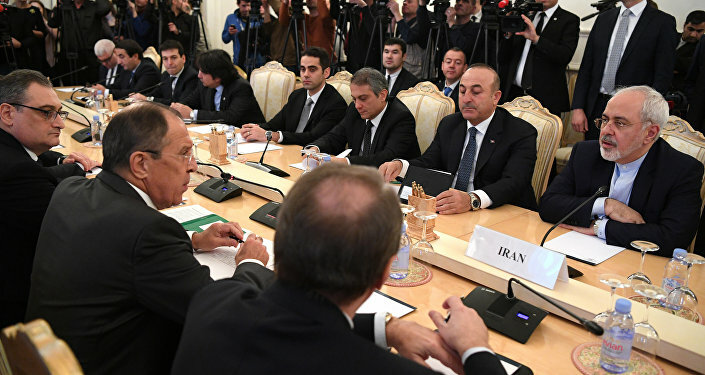 The ministers also noted the importance of extending ceasefire and voiced willingness to become guarantors of the forthcoming agreement between Damascus and the opposition. "As for the purported efforts of ‘other countries’ to achieve progress in the settlement of the crisis, we, in Syria, do not believe that such efforts exist. Actually, we have evidence to the contrary. Most of the Western countries, oil-rich Gulf states and UN officials were distressed by the prospects of liberating Aleppo. They did everything possible to thwart the Syrian government’s efforts to unify Aleppo and kick out the terrorist groups from among the civilian population of the city," Moustapha said. At the same time, he continued, People of Syria and Aleppo in particular will be forever thankful to Russia for help and support in the country’s most critical moment of ongoing war. "On [the] one hand the Syrian people will never forget those who inflicted pain and suffering on their country. On the other hand, they will be forever indebted to the Russian people and leadership who stood with Syria in its most critical historic juncture. One word could not convey the sentiments and thoughts of the people of Aleppo in particular and Syria in general towards Russia, yet I am going to use it: gratitude," Moustapha said. On September 30, 2015, Russia launched its aerial anti-terror campaign in Syria after an official request from the Syrian government that has fighting numerous extremist groups and opposition factions since 2011. On December 16, the Russian Defense Ministry's center for Syrian reconciliation said that the Syrian army operation to liberate the eastern neighborhoods of Aleppo was over, and that the Syrian government troops were eliminating separate hotbeds of militant resistance.